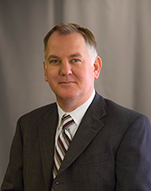 Timothy A. Knox has served as President and a director of our general partner since August 2014. Mr. Knox served as president and chief operating officer of Compressor Systems, Inc. (CSI) from September 2010 until it was acquired by CSI Compressco in August 2014. Mr. Knox served as senior vice president of CSI from August 2009 to September 2010 and as vice president - engineering and manufacturing of CSI from December 2004 to August 2009, having served as director - engineering and manufacturing since July. 2003. Mr. Knox joined CSI as a regional account manager in 1996, was promoted to manager of the mid-continent business unit in 1998, serving in that role until 2003. From 1991 to 1996, Mr. Knox served in multiple roles for Dresser-Rand Compression Services including; applications, project engineering, project management and sales. Mr. Knox has 24 years of industry experience, including 18 years with CSI. He received his B.S. degree in Mechanical Engineering from the University of Oklahoma in 1990 and an M.B.A. from Oklahoma State University in 1999. He has served on the board of directors of the Gas Processors Suppliers Association and the Gas Machinery Research Council.